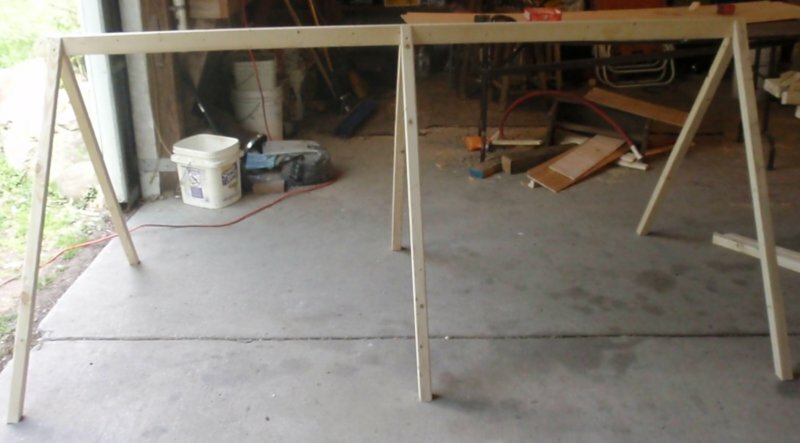 This is the second installment of a series of posts about building a Catawba Converti Coop. The first post in the series showed how all the materials for the coop fit in the back of a pick up truck. You'll need a miter saw to make the cuts for the frame of the Catawba Coop. 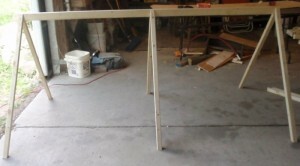 The first steps in building the Catawba Coop are to construct the frame, cut out the deck and attach the deck. 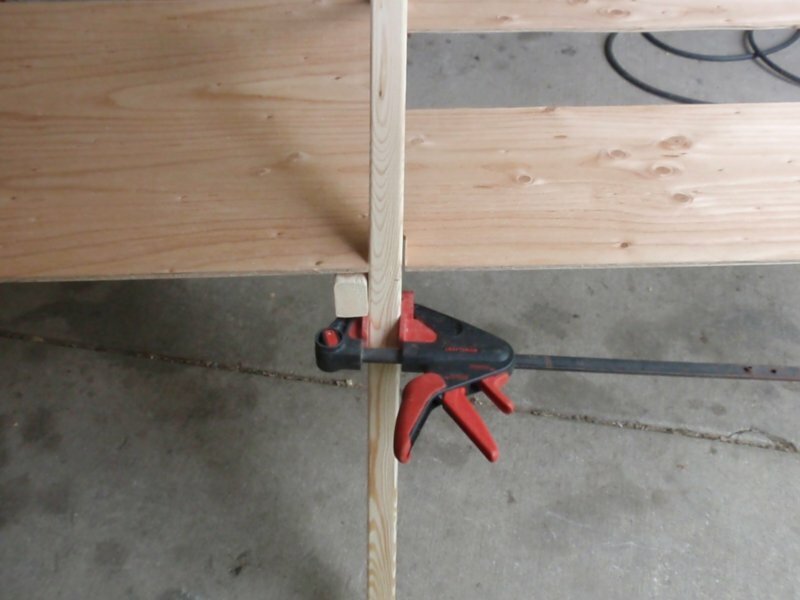 Cutting the frame will have you using your miter saw immediately. If you are like me the illustration in the plans showing how to make a 60 degree cut with the miter saw will be very helpful. To cut the deck you will need a circular saw. A jig saw also comes in handy. The plans include helpful construction tips like using a wood clamp to hold the deck. Once the deck is cut out, you will have to attach it to the frame. The plans state that this could be the most difficult part of the project. Based on my progress to this point, I would agree. However, the plans offer several helpful tips to help you get past this step. I followed the suggestion to use wood clamps to hold the deck in place while attaching it. The roof and bottom fence have been added. The final picture shows the coop after the next steps have been completed. The roof has been added and the wire fence has been secured to the bottom of the coop using poultry fence staples. I find that cutting the fence is easy to do using a bolt cutter. Describes the Catawba Converti Coop plans and buying the materials for the coop. 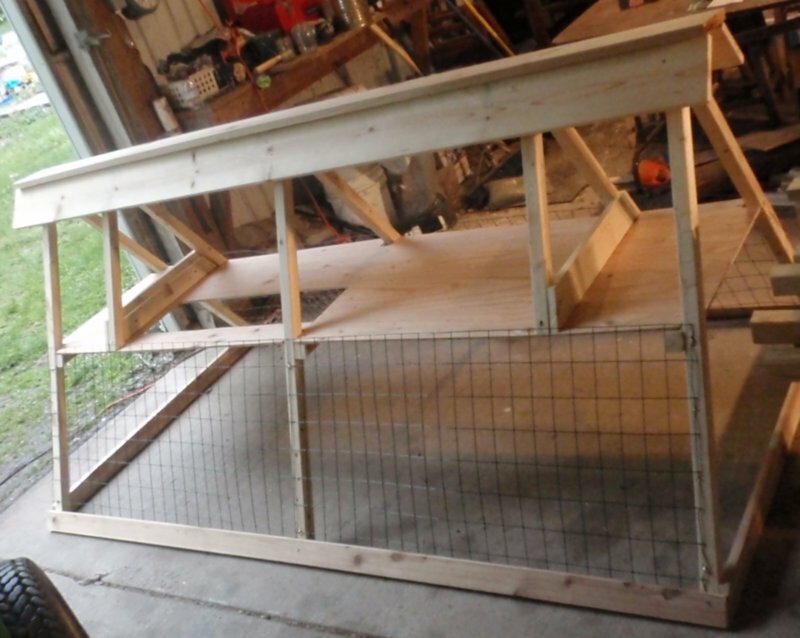 The first part of a series on building a Catawba Coop.